Great tasting products and guaranteed freshness is everything. We want to make sure you get consistently great tasting food and a So Good Experience every time! We're open and honest about the quality of the products and want you to know how we prepare them. Have a look below for some So Good to know facts about KFC! Serving you great tasting chicken you know and love is important to us and we want you to enjoy the food and service you receive at any KFC you visit across South Africa. All our food, from our salads to our chicken, is freshly prepared in-store to the highest standards, especially for you. 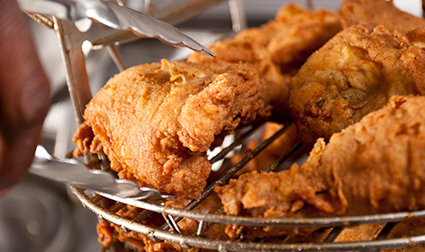 Each piece of chicken is hand-breaded with the Colonel's famous secret recipe of 11 herbs and spices before cooking it to a specific time and ideal temperature in our kitchens. 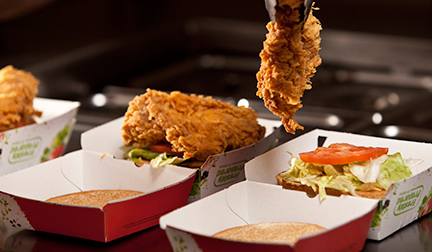 To make sure we serve you quality meals from our kitchens, all our KFC restaurants across the country are audited annually to check that all the health and safety procedures are followed. How do you make sure the food you serve us tastes great each time? With restaurants in Zimbabwe, we need to make sure that the quality and safety of our food is of the highest standard. We do this by following strict policies and controls in our restaurants, our kitchens and at our suppliers to make sure we deliver food that is 100% safe to eat. Is KFC chicken freshly prepared? 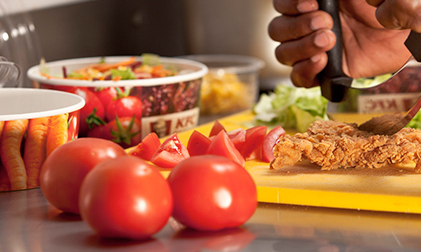 All our food, from our salads to our chicken, is freshly prepared in-store. Each piece of chicken is hand-breaded with the Colonel's famous secret recipe of 11 herbs and spices before cooking it to a specific time and ideal temperature in our kitchens. How do you make sure that your chicken is of the highest quality? We source our chicken from the very same suppliers that supply your favourite premium retailers, to make sure that our chicken is of the highest quality. Our chicken is cooked to a specific temperature and has a specific holding time to make sure that we serve you food that is hot, fresh and, most importantly, safe to eat. We don't manage or run our own chicken farms. In fact, our chicken is sourced locally from the very same chicken farms that supply your favourite premium retailers. As one of the largest buyers of chicken in the world, we have strict controls in place to make sure that our suppliers comply with global animal welfare standards and practices regarding the treatment of chickens. We make it our responsibility to ensure the chickens we do source are treated humanely and within the animal rights legislation of the country. All of our suppliers are also independently audited throughout the year, which helps us and our suppliers ensure that processes and standards are followed. Does KFC have an animal welfare policy? Yes. We have strict animal welfare policies in place following local and global standards. Our suppliers are independently audited on an annual basis so that we can monitor these processes. Who supplies chicken to KFC? 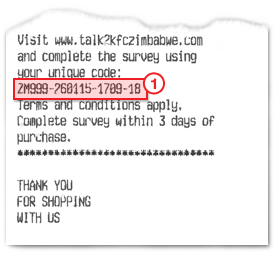 We purchase chicken from the very same suppliers that supply Zimbabwean's favourite premium retailers. We only buy chicken from approved and audited suppliers and we make sure that our suppliers meet the highest international standards so that we can make sure all our chicken is of great quality and is 100% safe for you to eat. At KFC, we believe it's important to lead an active lifestyle and follow a balanced diet, so we want to make sure you know the nutritional value of our menu items. It's important for you to make informed decisions about the food you eat. So we provide the nutritional information of all our menu items on our website and this information is also available at all our restaurants on request. I heard KFC serves Halaal chicken? The suppliers we get our chicken from follow the accepted Halaal practices to cater for the large Muslim community in Zimbabwe. At the moment, we use Double Fractionated Palmolein Oil. We've successfully removed all of the Trans Fatty Acids from our cooking oil without compromising on the great KFC taste you know and love.